A woman died and five others were wounded after a man stabbed people in Russell Square in London. LONDON (REUTERS) - A US woman was killed and five other people injured by a man with suspected mental health issues who went on a rampage with a knife in central London. Armed police were called late on Wednesday evening after a 19-year-old Norwegian man of Somali origin began attacking people in London’s Russell Square, a park near the site of a 2005 suicide bombing. Police said there was no evidence the attack was terrorism related. The victim was identified as Darlene Horton, a woman in her 60s who was the wife of a US psychology professor. She was treated at the scene but pronounced dead a short time later. A British man who was stabbed in the stomach remains in hospital in serious but stable condition, police said. Four others – an American man, a man and a woman from Australia, and an Israeli woman – suffered stab wounds but have been released from hospital. “We believe this was a spontaneous attack and that the victims were selected at random,” said Rowley, who is Britain’s senior anti-terrorism officer. “So far, we have found no evidence of radicalisation that would suggest that the man in our custody is in any way motivated by terrorism,” said Rowley. Initially, he had said that terrorism was a line of inquiry. Police, who arrived within six minutes of being called, used a Taser electric shock gun to subdue the suspect. He was later formally arrested on suspicion of murder. Police cordoned off the southern part of the square, which is near the British Museum, for several hours as forensics officers examined the attack scene. Later, workmen hosed blood off the pavement. London’s Sadiq Khan, the first Muslim mayor of a major Western capital, called for vigilance and urged Londoners to report anything suspicious to the police, who increased their presence in the capital. The woman who was killed was identified as Horton by Florida Governor Rick Scott. Florida State University said in a statement she was married to an eminent professor of psychology who had been teaching in its London Study Programme. “There are no words to express our heartache over this terrible tragedy,” FSU president John Thrasher said. Just hours before the attack, London’s police chief said that he would deploy an additional 600 armed officers across the capital to protect against attacks. London counter-terrorism police chiefs have previously warned that Islamic State in Iraq and Syria (ISIS) was seeking to radicalise vulnerable people with mental health issues to carry out attacks. In some operations, police commanders have taken advice from specialist psychologists. 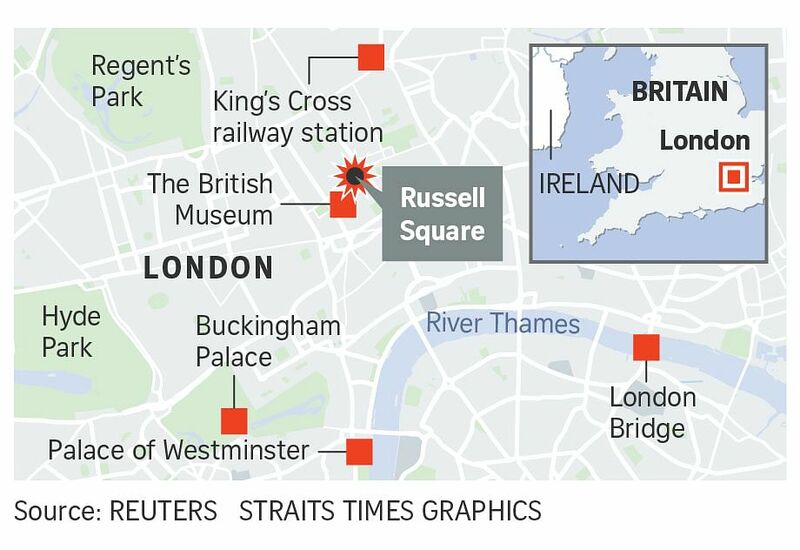 Islamist militants hit London with coordinated suicide bombings on July 7, 2005, killing 52 people. One of the bombs detonated on a bus close to Russell Square. Since then, dozens of plots have been foiled and there have been smaller-scale attacks, such as the beheading of an off-duty soldier by militant Islamists in a London street in May 2013. A man who attacked passengers at a London underground train station in December was jailed for life earlier this month. The judge said the attacker was suffering from paranoid schizophrenia at the time of the offence but may have been motivated by events in Syria.